FALLS CHURCH, Va., March 7, 2016 -- The Northrop Grumman Foundation, presenting sponsor for CyberPatriot VIII, congratulates the top 25 high school and three middle school teams advancing to the national finals competition in Baltimore, April 12. This year's finalists represent schools and other organizations from California, Colorado, Florida, Iowa, Louisiana, Maryland, Massachusetts, Missouri, New Jersey, Texas, and Manitoba (Canada). Click here for a complete listing of finalists. CyberPatriot is the National Youth Cyber Education Program that aims to inspire students toward careers in cybersecurity and other science, technology, engineering and mathematics (STEM) disciplines critical to our nation's future. Established by the non-profit Air Force Association, the program features the annual National Youth Cyber Defense Competition, cyber summer camps and an elementary school cyber education program. "CyberPatriot has proven to be a wildly popular STEM initiative," said Sandra Evers-Manly, president,Northrop Grumman Foundation, vice president, Northrop Grumman Global Corporate Responsibility. "It started with eight teams in 2009 and now we're at more than 3,000. CyberPatriot is not only providing a fun, hands-on learning environment but it's addressing a national imperative to build a qualified cyber workforce. We are so proud of all the students who participated this year and especially pleased to spearhead this initiative, which is building a diverse pipeline of professionals ready to protect our nation." Exceeding all previous records, CyberPatriot VIII marks a 55 percent increase in team registrations from last season's CyberPatriot VII. Leading up to the finals, participants competed in a series of increasingly difficult online rounds where students were given a set of virtual images that represent operating systems and were tasked with finding vulnerabilities and hardening the system while maintaining critical services. Students competed from across the U.S. and in other parts of the world to be among the top finalists that receive an all-expenses-paid trip to the CyberPatriot National Finals in Baltimore. "CyberPatriot is clearly resonating with youth and is providing an avenue to develop critical skills needed by employers worldwide," said Diane Miller, director, CyberPatriot Programs, Northrop Grumman. "These competitors are not only building technical skills in cyber defense, but are also developing the soft skills of leadership, teamwork and communications that are fundamental to creating a workforce that's career-ready and prepared to take on the complex cyber threat. We are thrilled to be a part of this STEM initiative and congratulate our finalists as they countdown to Competition Day." In its sixth year as presenting sponsor, the Northrop Grumman Foundation and Northrop Grumman Corporation continue to devote time, talent and resources to support CyberPatriot. 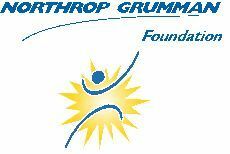 In addition to the foundation's financial support, Northrop Grumman commits annual scholarship funds to the top winning teams and contributes employee volunteers and mentors. The company also provides internships to CyberPatriot competitors, as do other industry and government organizations. Northrop Grumman is also partnered with Cyber Security Challenge UK to bring CyberPatriot to the U.K. Known as CyberCenturion, this youth cyber defense competition is in its second year and will hold its annual finals on April 26 in London. Competition Day : The Teams will compete face-to-face in a one-day event to defend virtual networks and mobile devices from a professional aggressor team. The finalists will also face-off in three additional competition components: the Cisco Networking Challenge, the Leidos Digital Forensics Challenge, and Facebook will also be hosting a cybersecurity event that will factor into the teams' cumulative scores. 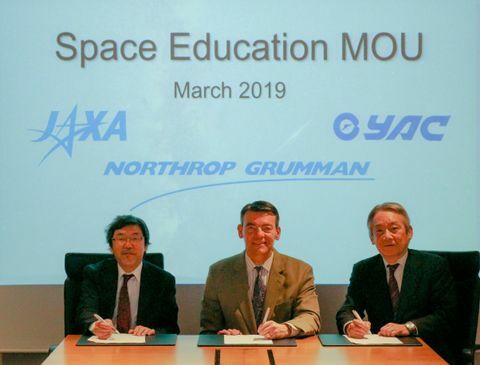 As a global provider of cybersecurity solutions, Northrop Grumman is committed to grooming tomorrow's cyber workforce and is engaged in supporting numerous cybersecurity education, training and technology initiatives. 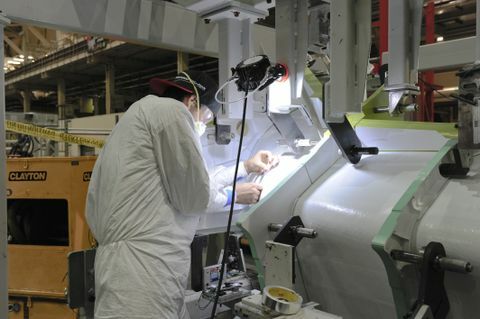 For more information on Northrop Grumman in cyber, click here .